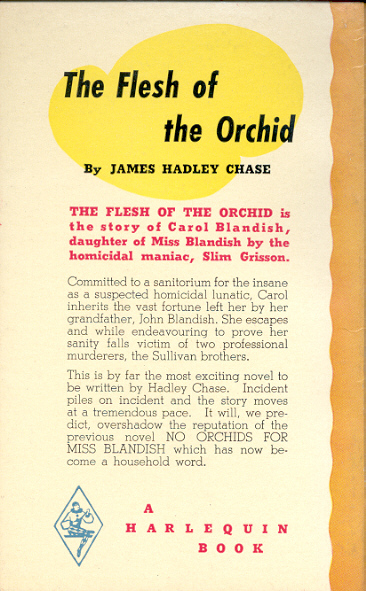 James Hadley Chase's The Flesh of the Orchid was first published in 1948 (London: Jarrolds). 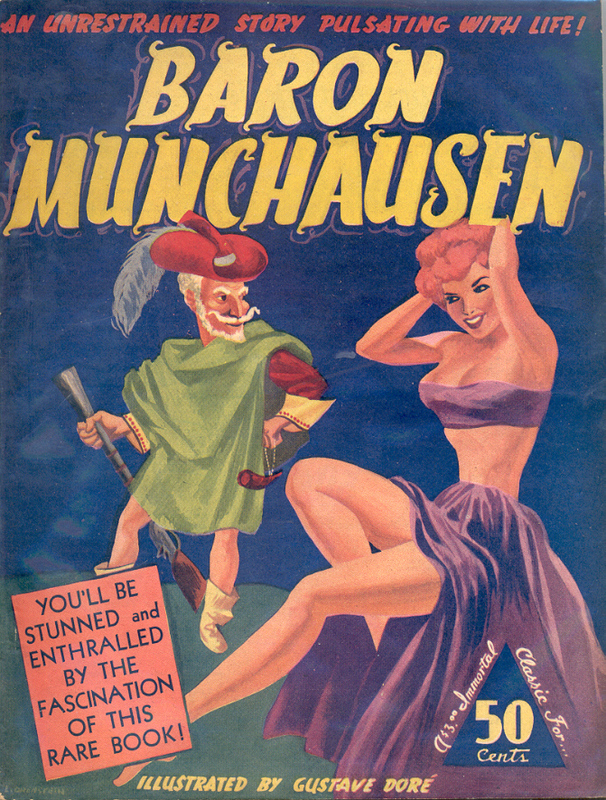 Harlequin published its edition in 1951 with one of their distinctive covers. Recently I was surprised to see another edition of Flesh of the Orchid [sic], published by Bruin Books in December 2009, with the same cover. Given Harlequin's concerns over "infringement of its intellectual property rights" (see here for example) I'm curious how the new edition has escaped notice. 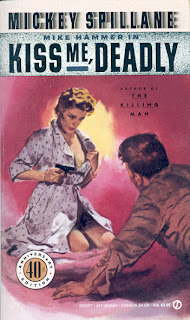 It is unlikely Bruin secured the right to use the cover. Its interesting to compare the covers. Bruin has made small changes - the horizontal bar shadows at the right are gone. 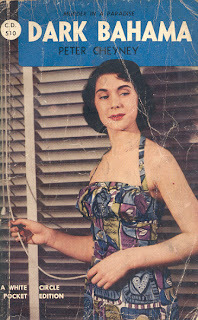 The image has been shifted to the right and down with another bar added at the left and the woman's face has been subtly changed. A recent edition of Madame Bovary (New York: Viking, 2010), translated by well known author Lydia Davis, is receiving many favourable comments. 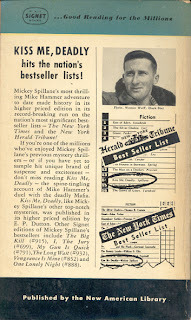 Here is the New York Time's review. 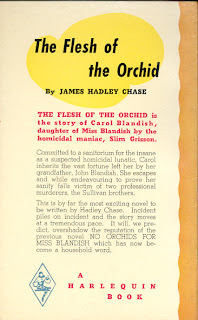 There is an earlier Canadian edition that likely wasn't reviewed by Mr. Deacon of the Globe & Mail or the reviewer for the Toronto Telegram. This magazine sized edition was published by Fireside Publications Limited of Toronto in 1945. 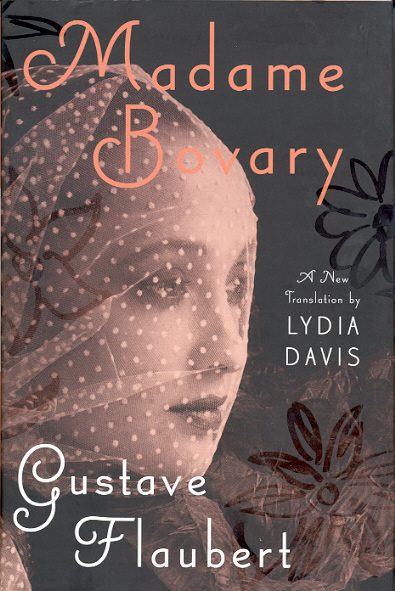 The Viking edition is 342 pages including 30 pages of notes plus a 17 page introduction, further reading suggestions and a chronology of Flaubert's life. 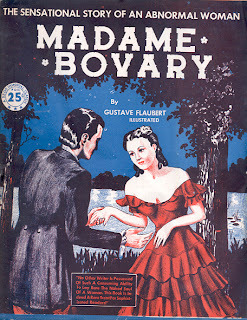 The Fireside edition is 32 pages with a quarter page note about Flaubert. The translator is not noted. 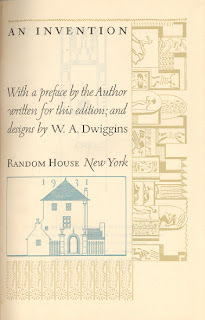 However, unlike the Viking edition, it is illustrated. 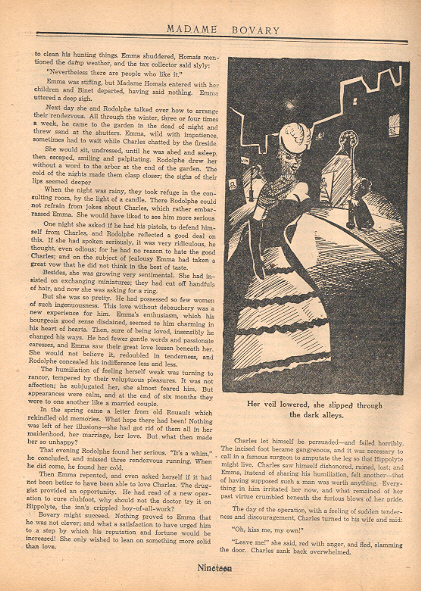 The Viking edition has 35 chapters, the Fireside seven. 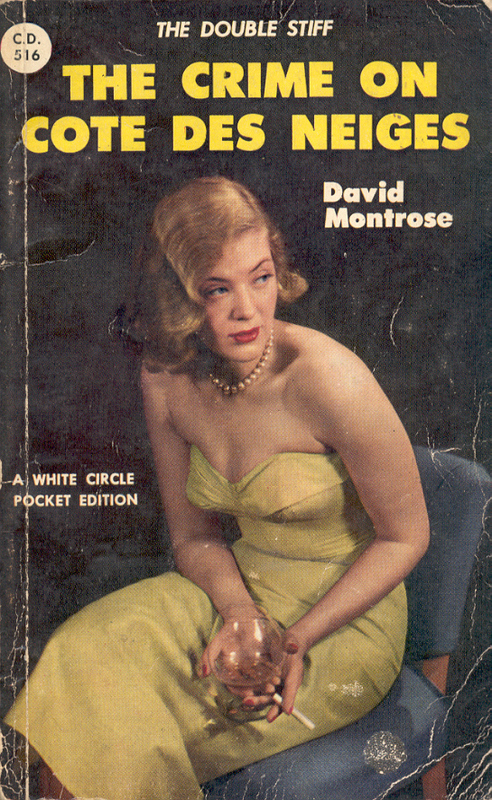 A new edition of White Circle C.D. 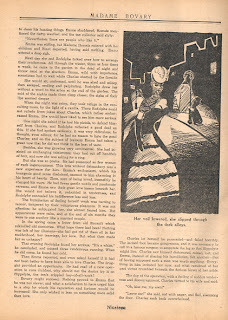 516 originally published by Wm. Collins Sons & Co. Canada Ltd is a good reason to post more of these photo covers. 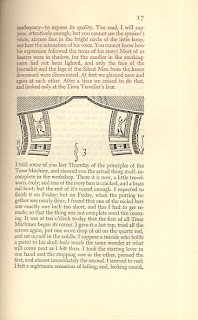 I covered the first 10 of 32 in the first two posts. 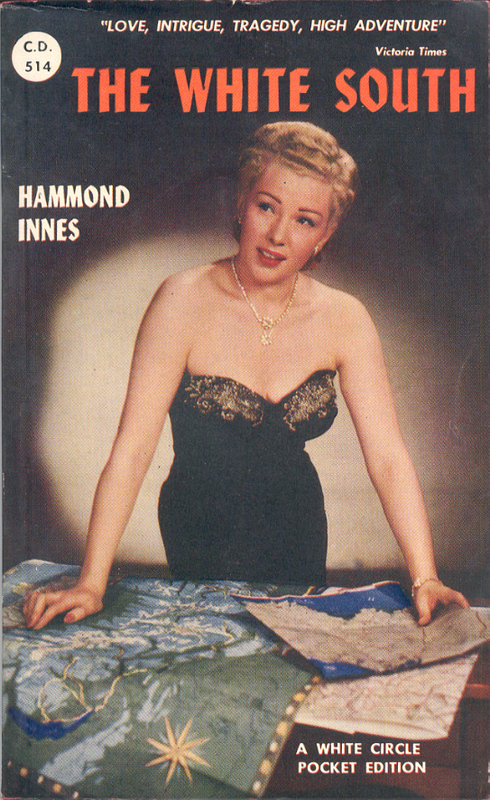 Here we'll look at the last five but one, all from 1951. 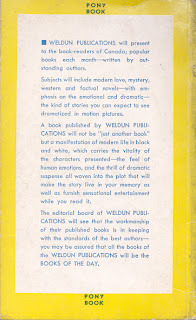 "Pony Books are published monthly by Weldun Publications and copyrighted by F.E. 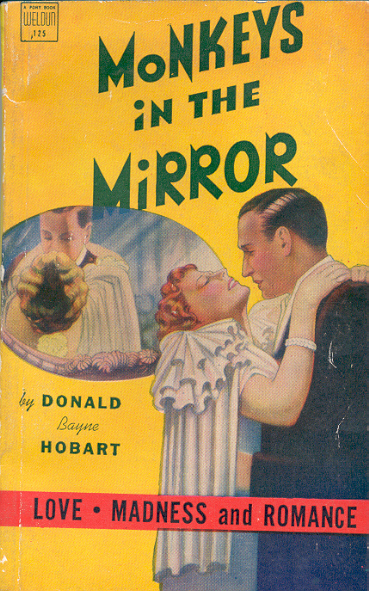 Howard..."
Howard's name is seen on other Canadian paperbacks from the era. He'll be the topic of another post. 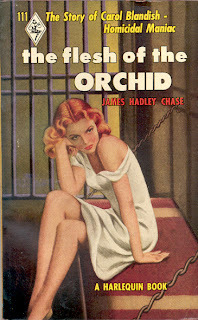 Pony Book 126 is Orchids To You, a reprint of Honey, Take My Gun, published by London's S D Frances in 1949. 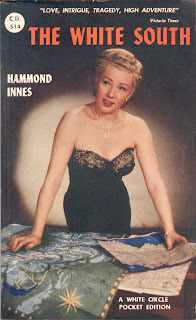 Honey, Take My Gun is the 10th in the long running British Hank Janson series with over 300 novels published from 1946 until 1971. The creator and writer of nearly half the books is Stephen Frances [1917 - 1989]. 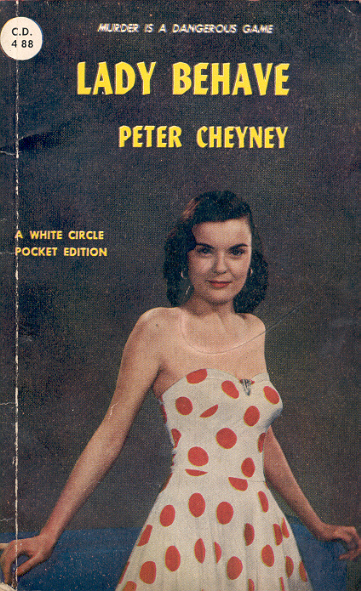 Curiously just two were published in North America, the Pony Book and one by Checkerbooks in the US in 1949. The last Pony, The Lion Murders by Elwood Brown, is a mystery. 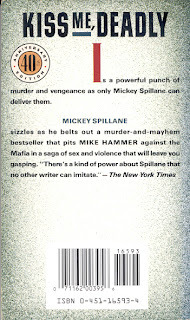 I can find nothing about the author or the book. 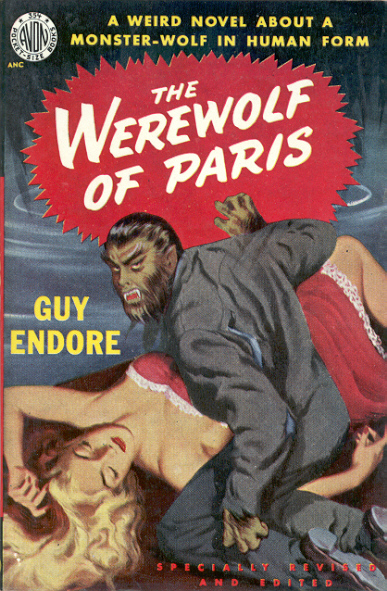 It may be a paperback original. 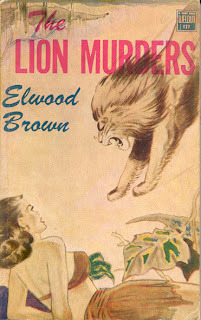 Brown had a book called The Elephant Murders published in 1955 by a vanity press. 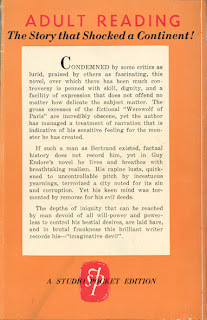 And that seems to be the end of his writing career. 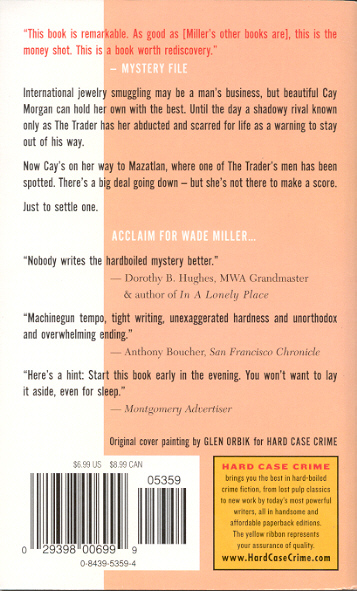 Just heard that Hard Case Crime will return in the fall of 2011 with a new publisher - Titan. 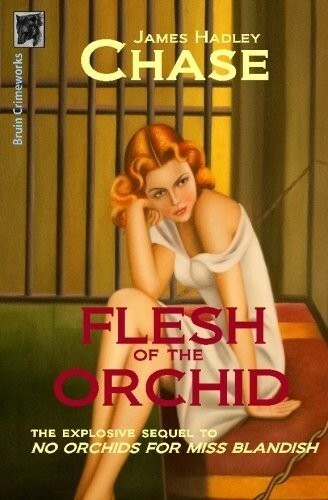 Very good news for fans of literature presented in an imaginatively updated vintage paperback look. 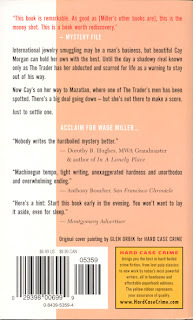 Below are some examples of the way in which HCC paid homage to those early mass market years. 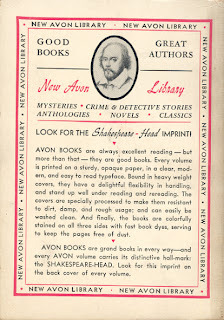 Compare the HCC "the yellow ribbon represents your assurance of quality" with Avon's "Good Books Great Authors ... Look for the Shakespeare-Head imprint!" 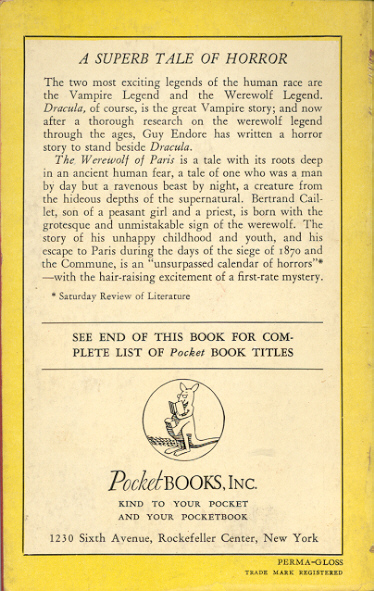 And, of course, "Complete and Unabridged" seen on an early Pocket Book. 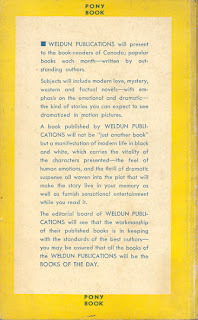 Here are books three and four, of six, from Weldun Publications of Toronto. 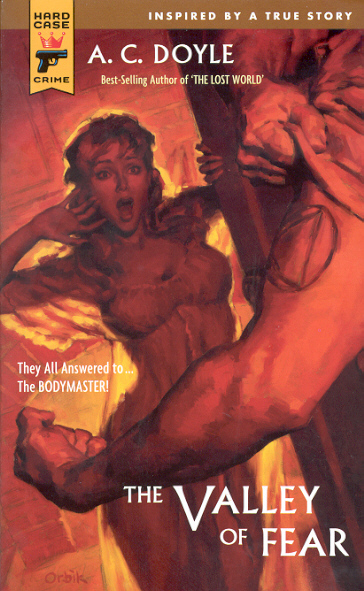 Both books are 160 pages with unknown cover artists. 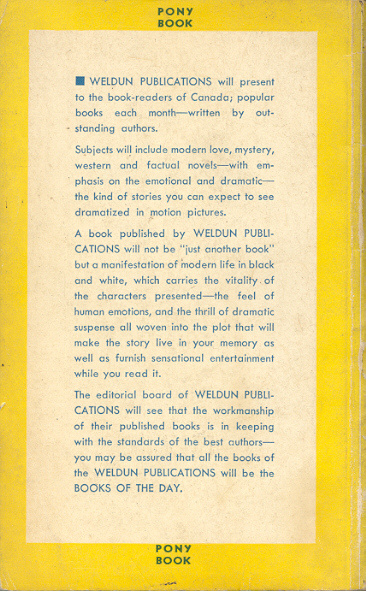 All of Weldun's books are 110mm x 176mm (4 5/16" x 6 7/8"). 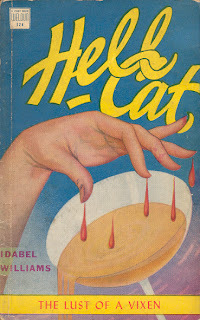 Book 124 is Hell-Cat by Idabel Williams [? - ?] and was first published New York: Greenberg, 1934 as Hell Cat. Williams is a mystery. 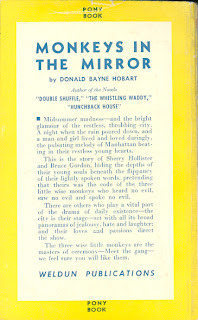 Book 125 is Monkeys in the Mirror by Donald Bayne Hobart [? - ? 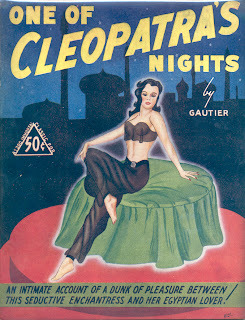 ], first published by Authors Publications of Newark, NJ in 1935. Hobart, in addition to a number of novels, mostly westerns, published dozens of stories in the pulps largely in the 1930s and 40s. 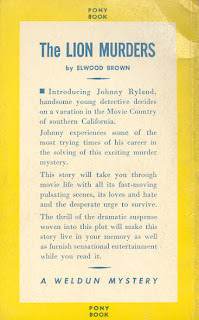 Both books state "Reprinted by arrangement with ED BODIN LITERARY AGENCY". 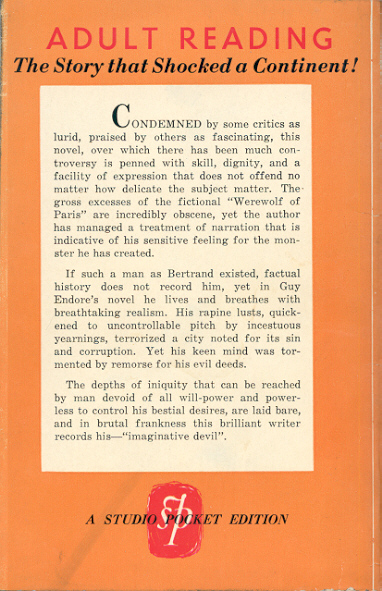 Bodin [1894 - 1983] was a columnist and agent in New York who was an early supporter of L. Ron Hubbard. 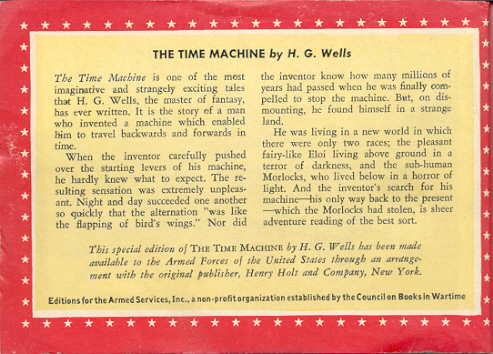 H. G. Wells's The Time Machine: An Invention is one of my top five favourite novels. 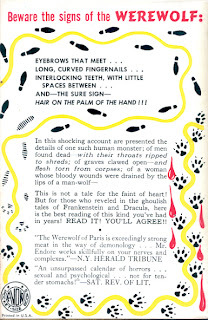 Aside from the iconic story the book has a complicated publishing history which adds to its allure. The history is on line and is well documented elsewhere so I'll discuss the highlights. 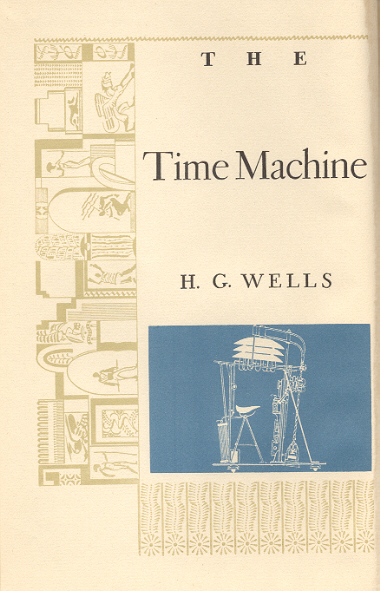 Serialized in the UK in early 1895, the book was published in the US (where Wells's name is misspelled H.S. 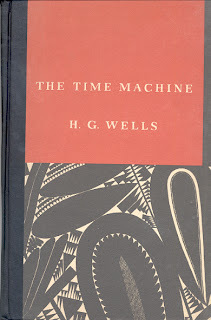 Wells) in early May 1895 and later in the month in the UK. The US version is significantly different from the UK and no one knows why. It is also much rarer. The UK edition is the version that is accepted as the "right" one. 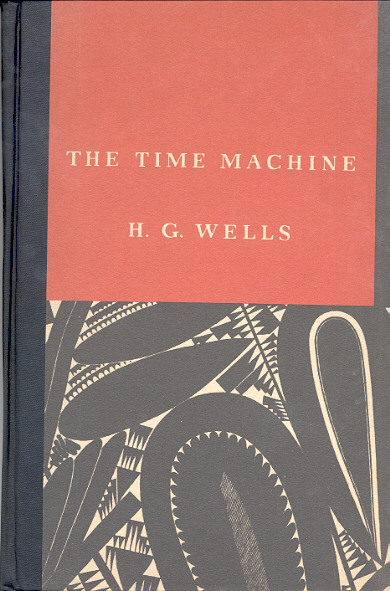 However Wells kept fiddling with the story in minor ways in the 1920s and 1930s as the book was reprinted. 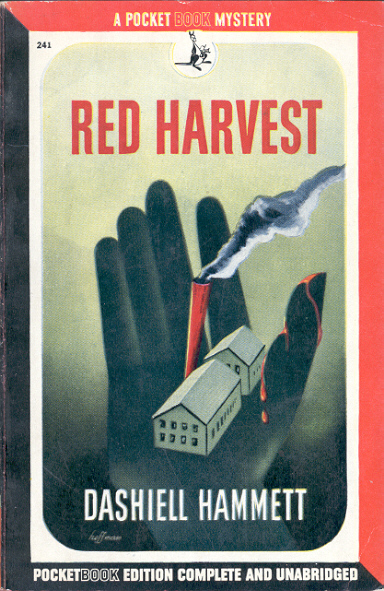 Which version of the UK story one reads in the hundreds of editions since published in often unknown. 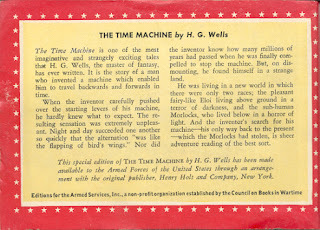 One one of the many fascinating publishing details is that the UK edition was produced in two wraps versions as well as hardcover. 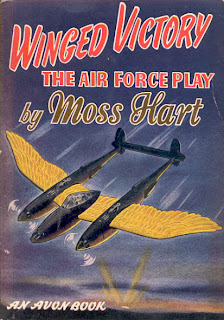 As you might imagine the wraps variant is much rarer. 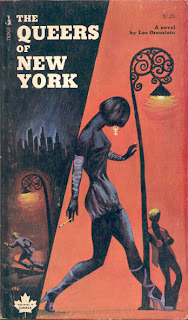 I can find no early Canadian editions of any interest so I'll discuss a few American in this post. 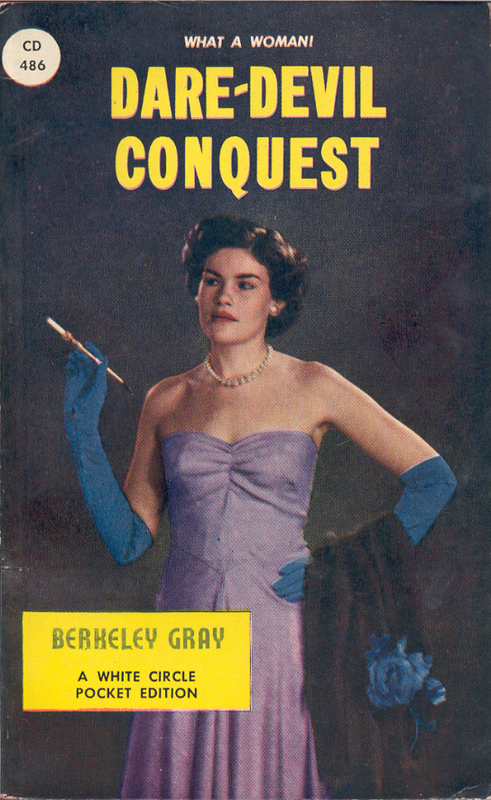 I'll keep looking for an early Canadian edition. The first paperback edition published in the US in the mass market era was the Armed Services Edition, one of 1322 titles published for American servicemen during WWII. 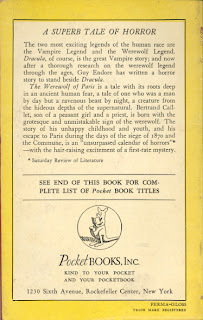 In addition to its collectibility as part of this series this edition is almost unique in that reprints the first American edition. 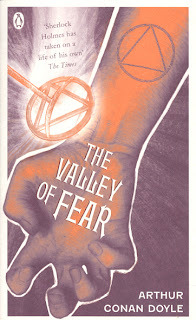 If you've read the book you'll be surprised how different this version is. 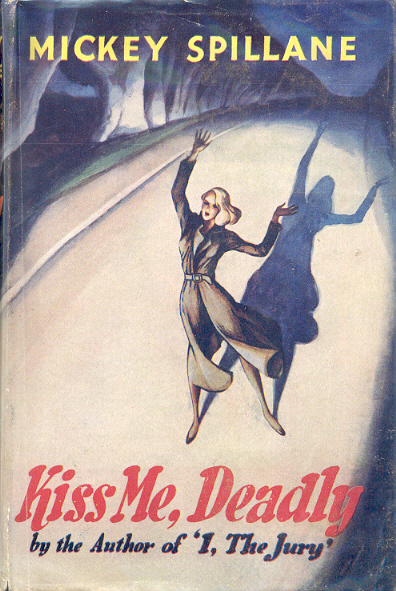 The next edition was published by Random House in 1931. 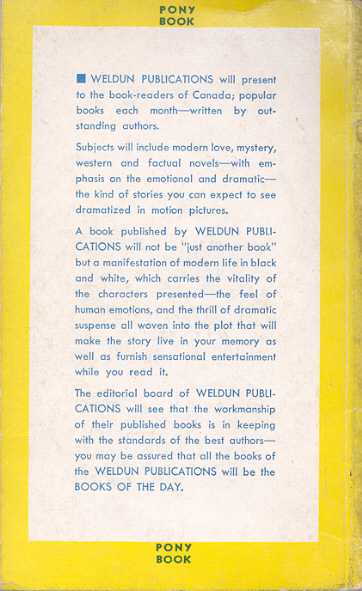 In addition to its design features it is bibliographically interesting as the pentultimate version that Wells worked on. He also provided a preface. 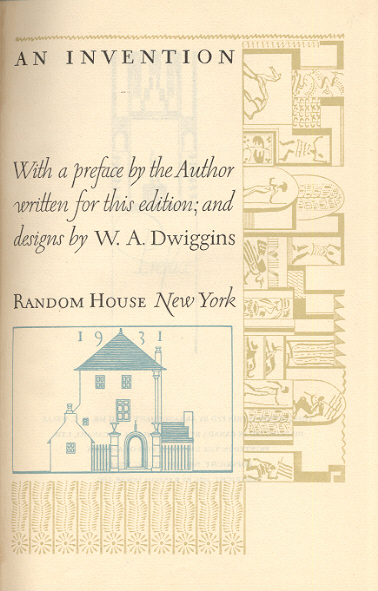 Below is the cover, title page and an example of the text. 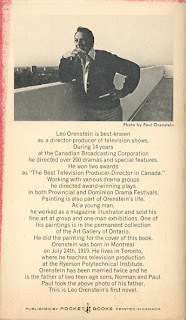 This post is a follow-up to one at The Dusty Bookcase about Leo Orenstein. 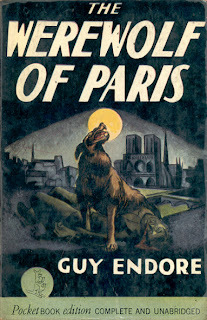 In particular I'll add a bit more information on his published work. His first novel, The Queers of New York, was published in September 1972 by Simon & Schuster of Canada, Ltd as a Pocket Book original. 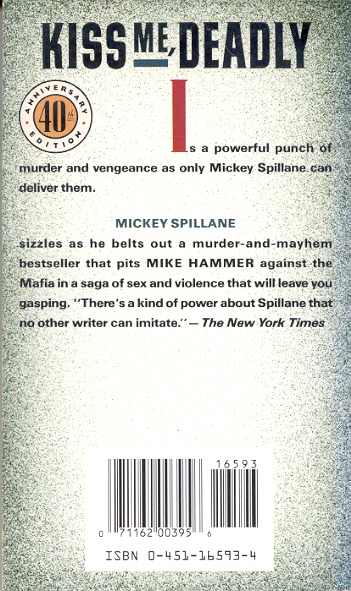 A couple of aspects of the book stand out for me (aside from the obvious.) 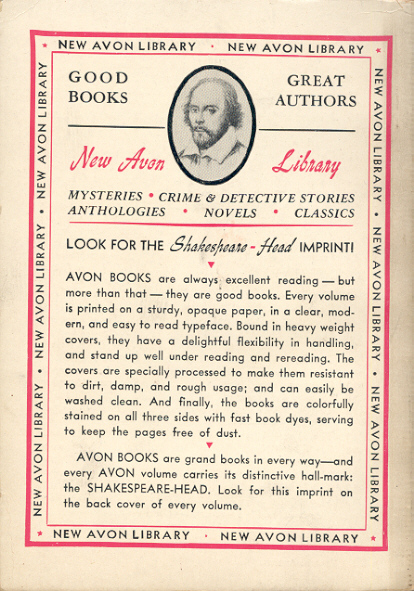 The first is the absence on the covers of any information about the book with the back cover used for an absurdly detailed biography of the author. 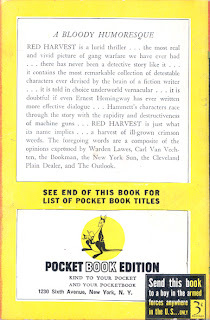 The second is the publisher - not a small obscure publisher but the venerable Simon & Schuster with the famous Pocket Book logo. Note the phrase "as a young man, he worked as a magazine illustrator" in the biography. 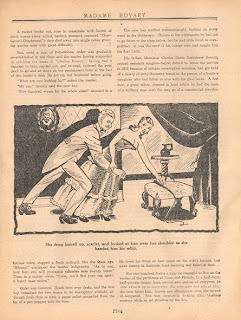 This gives the impression that one might see his work in Chatelaine. Below are two examples of his work from a different sort of publisher - Fireside Publications Limited of Toronto. Undated but likely circa 1950. 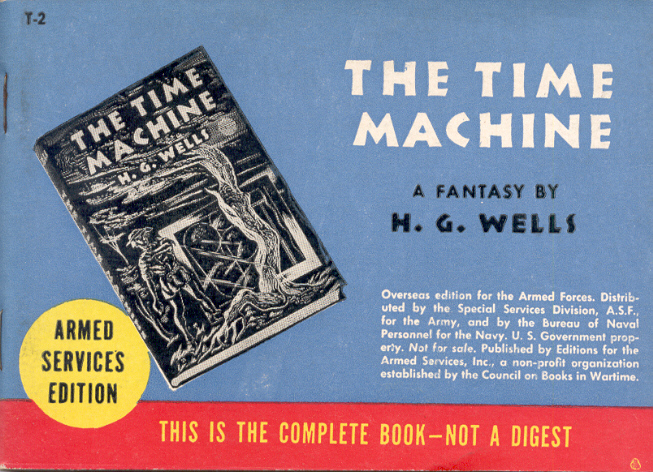 Both books are magazine sized with 64 pages. One of the 14 books published circa 1952 by Toronto's Studio Publications is Guy Endore's The Werewolf of Paris, one of the most popular books of the vintage paperback era. From 1941 until 1974 there were six editions, including Studio's. Here we'll look at the first two. 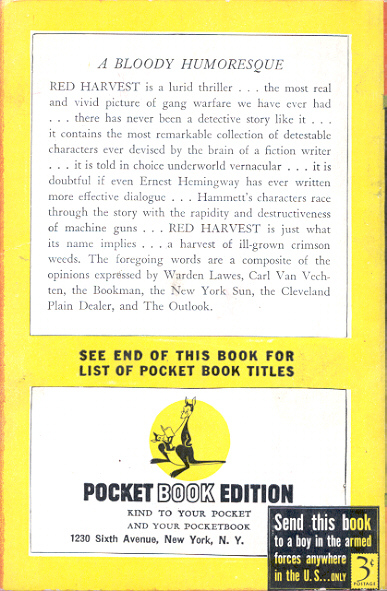 Of the thousands of covers of American paperbacks published from 1939 to 1959 they are among the most recognizable. 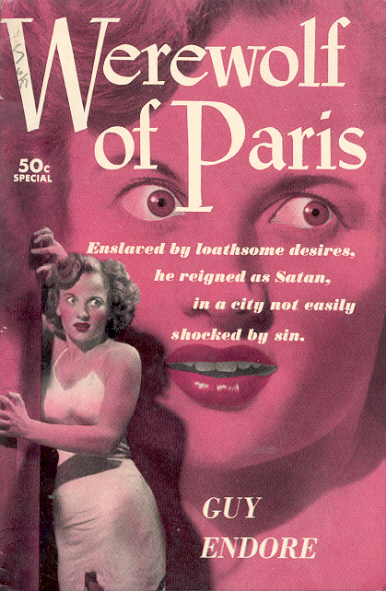 Avon Publishing Company, Inc. #354 – published 1951. Cover artist William Randolph credited on the inside front cover. 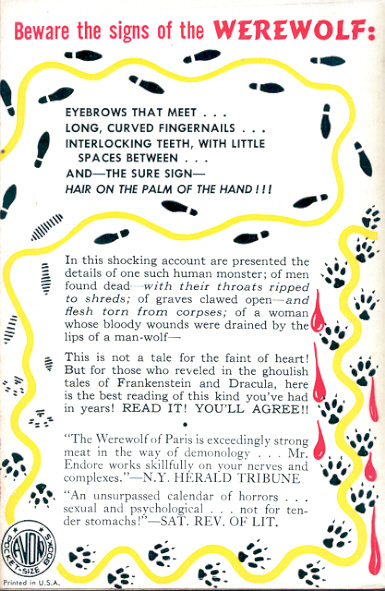 The book has 192 pages. 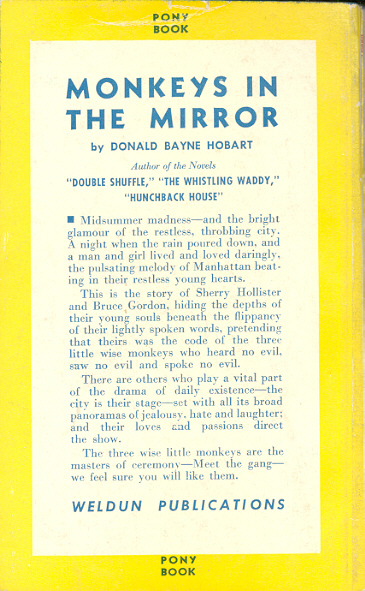 Described on front cover as “specially revised and edited”, the Avon edition is approximately 30% shorter than the original. "I looked him over real slow like I was trying to find a spot in the garbage pail for the latest load and said, 'Hello, stupid.'" 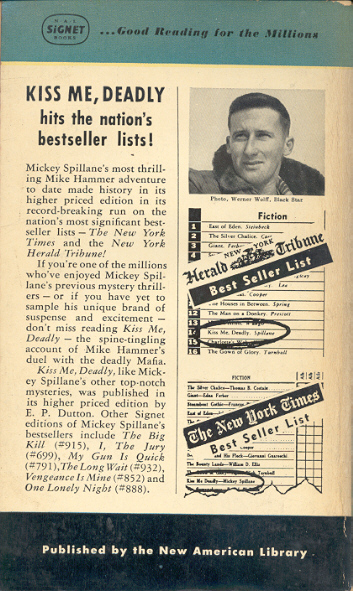 A favourite line of mine from Mickey Spillane's seventh Mike Hammer novel, Kiss Me, Deadly (New York: E. P. Dutton, 1952). 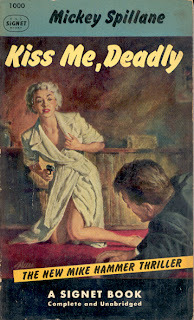 The book was the basis for by far the best of the Hammer films, Kiss Me Deadly (1955) [no ","], directed by Robert Aldrich. 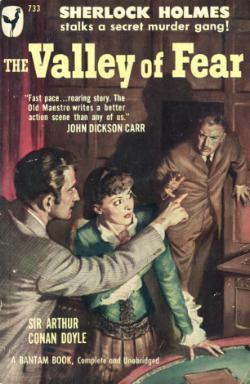 Anyone who has seen the movie will recognize the scene on the cover of the British first edition - the dame in the trench coat (Cloris Leachman in the movie) caught in the headlights. 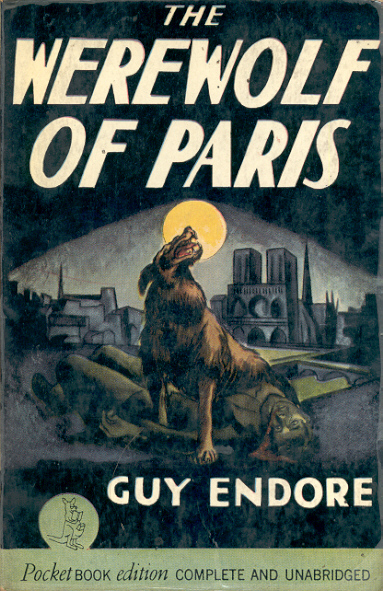 After this scene and the next few little of the book remains in the film. 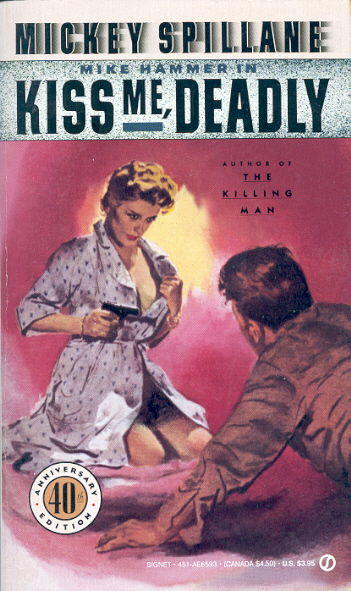 Unlike Spillane's first book, I, the Jury, Kiss Me, Deadly did not have a unique Canadian edition. After the success of the American paperback reprint of I, the Jury, New American Library published Canadian editions identical, except for price, to their American books. 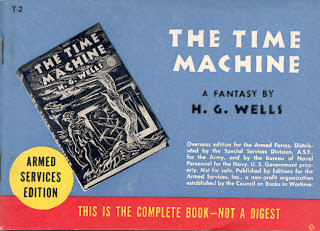 The 1st and 37th NAL American printings are below. Art by James Meese and Barye Phillips respectively. 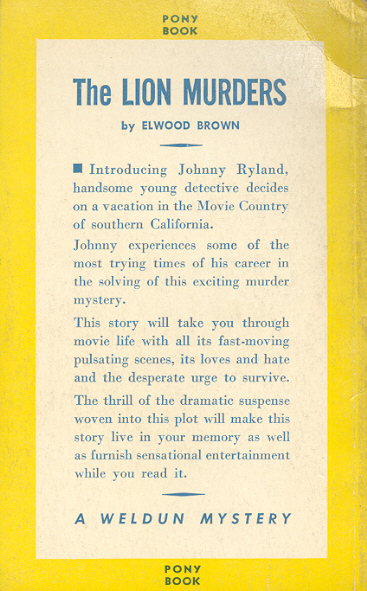 Hard Case Crime published 66 books, 40 reprints and 26 paperback originals. The oldest book to be reprinted was Arthur Conan Doyle's The Valley of Fear, first published in 1915 by New York's George H. Doran. 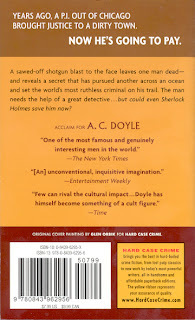 HCC had fun with the reprint, giving it an atypical Doyle cover, author name and back cover blurb. 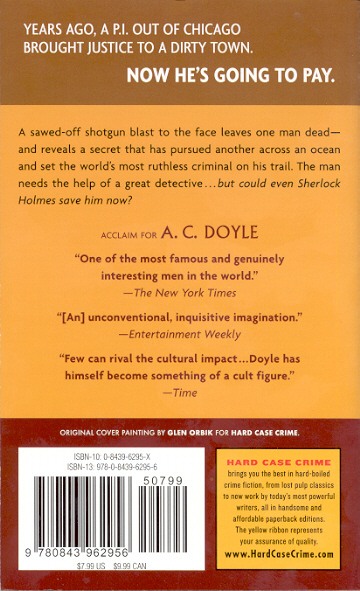 Interestingly Penguin published an edition in 2007 that also focused on the arm. 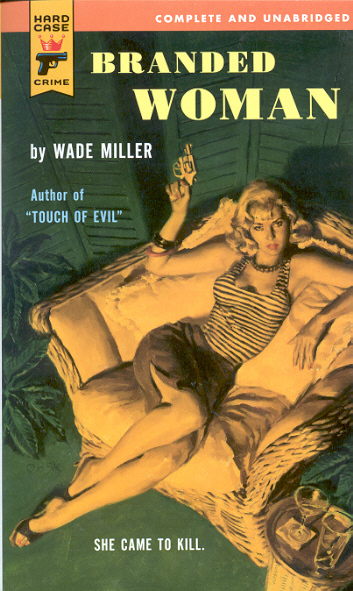 Below is an early paperback with a more traditional cover.